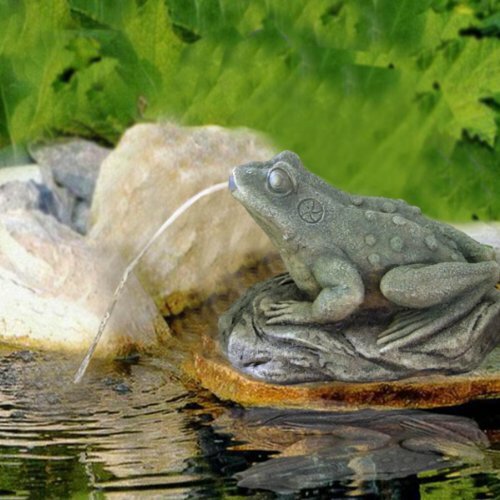 "Aquatica Plus UK ships Frog Pond Spitter from Amazon.co.uk. Amazon.co.uk has fast shipping in the UK and often free shipping on pond and aquarium supplies. Add to your basket now while supplies last to avoid delays." Requires a 450 LPH pump, not included. Length: 26cm / 10.4" Width: 18cm / 7" Height: 15cm / 5.9"
What customers say about Frog Pond Spitter?